We understand our reputation is at stake. So we choose to represent highly respected and reputable furniture makers who share our passion for artistry, craftsmanship and integrity. Many have long and storied legacies that go back for generations. Others are more recent yet they, too, understand the significance of quality and design. We invite you to browse through our list of vendors and take time to visit their websites. Read their stories, view their works of art and note the pieces that excite you. Then come see us. Happiness and comfort are only a click or a phone call away, and PJ Newman’s is only too happy to help you get there. Artistica’s passion has always been to create exceptional furnishings that are at home in any surrounding. The company utilizes old world techniques to achieve quality construction and a superior finish on their entire collection. Based on their extensive travels, each design offers a sophisticated twist on classic European, Asian and American motifs. By mixing mediums, such as exotic woods and elegant metals, Artistica has created a unique collection that will enhance any living space. Baker Furniture speaks the language of style. Not satisfied to be of the moment, the company works to be of the movement, in the role of tastemaker and innovator rather than a follower at the whim of fashion. The accent is on product — through Design, Materials, Craftsmanship and Finish. At the beginning, a craftsman named Siebe Baker worked with his hands. Later, the success of his sturdy furniture allowed his son, Hollis Baker, to study at University, travel the Old World, and hone the eye of a collector. Today these two thoughts, the eye and the hand, remain the cornerstone of Baker Furniture. For Baker customers, they mean a sense of integrity and the promise of things chosen well rather than often. Bolier offers a select portfolio of classic forms inspired by traditional fine furniture and shaped for contemporary lifestyles. Each piece reflects a dedication to design, materials and authentic craftsmanship, and is created to be of lasting value. Their passion is to offer customers a way of living that combines modern comfort and timeless elegance through fine furniture for the home. With showrooms in Paris, London, New York and High Point, and representation on four continents, Bolier has become a truly notable name in the luxury furniture industry. Since 1945, Brown Jordan has designed luxury leisure furnishings and accessories that transcend time and liberate the senses. Established by Robert Brown and Hubert Jordan in Pasadena, California, Brown Jordan was the first company to create furniture for full-time outdoor use. Brown Jordan furniture is designed to complement your leisure lifestyle. The Brown Jordan portfolio features more than 30 collections in a range of design styles. Distinctive silhouettes are hand and machine crafted into high quality furnishings that enhance traditional, transitional and contemporary environments. Their collections are appropriate for residential and contract environments, both indoors and out. Known for producing stylish, award-winning designs, they have built a reputation on more than 60 years as the industry leader in innovation and design integrity. When you aspire to have the best in luxury leisure furniture, look to Brown Jordan. Chaddock creates timeless furniture with the finest craftsmanship and a nod to modern relevance. They leverage their deep knowledge of historical design to create beautifully detailed furniture that is suited to how people live today. Their furniture is driven by innovation in design, ergonomics, sustainability and an inspired vision of what the future holds. Currently, Chaddock is comprised of two collections: Guy Chaddock, known for more than 67 years of superb hand-built quality and European sensibility, and Ferguson Copeland, whose eclectic classics offer a clean-lined take on tradition. Charleston Forge began in 1974 as a fireplace shop in the Blue Ridge Mountains of North Carolina. The company custom-built handmade wrought iron fire screens, wood baskets, log racks and pot racks out of iron, fire and wood. In 1982 Charleston Forge expanded its passion and began making furniture using the same natural elements of iron and wood but added accents of brass, copper and glass. Today the company is well known for its meticulously handcrafted furniture and furnishings using age-old techniques combined with modern equipment. Christopher Guy luxury furnishings was created with a clear objective: to make uniquely beautiful decorative furnishings that appeal to an international audience. Based on this design philosophy, Christopher Guy’s furnishings fuse a timeless beauty and elegance evocative of a cosmopolitan lifestyle, appealing to a global clientele. The influence of French Modernist furniture designers from the 1930s and Christopher’s admiration for the world’s greatest fashion icon, Coco Chanel, are combined with the founder’s own creative flair and eye, resulting in a unique selection of outstanding furnishings — the Mademoiselle Collection. At the heart of the Councill story is a loyalty to American craftsmanship and a dedication to their cherished roots in Denton, North Carolina. Founded in 1973 as a small company crafting occasional tables, Councill has grown into a major manufacturer of casegoods, upholstery and executive office furniture. As modern masters of fine furnishings, Councill is dedicated to craftsmanship and design integrity, interpreted for today’s eclectic lifestyle. E.J. Victor was founded by Edward W. Phifer III, Joseph B. Manderson, and John Victor Jokinen in 1990 to pursue the art of creating furniture excellence. To this day, E.J. Victor maintains an unwavering commitment to preserving time-honored, quality construction methods used to create exquisite furniture for the home. Experience E.J. Victor’s quality handcrafted furniture in finishes ranging from the cutting-edge exotic to the time-tested traditional. Styles cover the spectrum with looks from the Newport Mansions Collection and designers Carol Bolton, Julia Gray, Caroline Faison and Randall Tysinger. Ferguson Copeland, Ltd. is a high-end furniture company that offers a full line of beautifully designed wood and upholstered furnishings with distinct styles, sizes, finishes and fabrics. The company’s eclectic fusion of styles is available in a choice of over 200 custom finishes and luxurious designer fabrics and trims, allowing customers to mix and match while achieving that “pulled together” look for their home. Global Views is one of the most exciting and innovative manufacturers of accent furniture, accessories and lighting. All of their products are made of natural materials and are shipped in recycled packaging. The company has always been environmentally aware and seeks to provide beautiful additions to your home while striving to minimize their carbon footprint on the environment. Deep in the Blue Ridge Mountains of North Carolina, Hancock & Moore started with a vision to manufacture the finest quality furniture that would remain beautiful for generations. This became reality in 1981 when Hancock & Moore was founded. That vision is displayed in each piece of Hancock & Moore furniture through the skillful touch of master craftsmen like Jimmy Moore, who grew up learning the skills of a carpenter, turning wood into artful creations. The desire to make distinctive furniture was an instilled value and the skill to make it was a gift. To that end, Jimmy spent hours carving, hand-sanding, sewing and upholstering handcrafted pieces. This, he decided, was the "ideal" way to build a unique brand of furniture. With the help of his fellow craftsmen, he transforms solid woods, soft leathers and fine fabrics into handcrafted furnishings no machine could ever match. Each piece of Hancock & Moore furniture bears the signatures of these artisans that created it. Whether it is crafting custom orders, or surveying production, his skilled vision for perfection remains. Jimmy Moore is one of the last to leave at the end of each work day, assuring that your handcrafted Hancock & Moore piece will result in furniture that you will enjoy and can be proud of for years to come. Harden Furniture understands the importance of home and family. A family-owned and operated furniture company started in 1844, Harden Furniture has a legacy of fine furniture making deeply rooted in American craftsmanship, quality and tradition. By designing top quality furnishings, Harden strives to create the ultimate in comfort for your home and family. Henredon was founded in Morganton, North Carolina, in 1945 by four men determined to build furniture of custom quality. While the initial product line consisted of just three chests, it has since mushroomed into hundreds of beautiful wood and upholstery designs for every room. While new manufacturing techniques are used there is still a considerable amount of hand and detail work performed on each piece. The company has always taken a leadership role in designing and manufacturing some of the finest furnishings available. In these days of mass production a Henredon item will truly be unique. Hickory Chair began almost a hundred years ago with a single product and a simple vision. The product was a made-to-order dining chair. The vision was to combine the authenticity of classic craftsmanship with the efficiency of modern manufacturing. In the decades since, Hickory Chair’s product range has evolved into an assortment of timeless designs, drawn from significant periods and places, and from the talents of some of the world’s most respected designers. Hickory Chair’s original vision, however, remains unchanged. The company is still guided by a genuine commitment to custom craftsmanship and timely service. Their style is still distinguished by an authentic, timeless spirit and their furniture is still made to order and made to last, by a team of talented and attentive artisans. The desire at Hickory White to create the most sought after home furnishings has never been stronger. Their commitment to this desire is the driving force that leads them into the future. Each piece has been curated and selected for inclusion with the goal of empowering clients’ creative spirit through customized finish options that are second to none. With more than 60 custom finishes and 700 fabrics from which to choose, customers are assured that their furniture will be one of a kind. 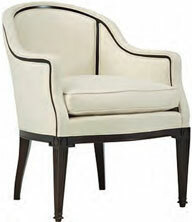 Jessica Charles is a distinctive group of classic chairs scaled for today’s stylish interiors. These simple yet refined silhouettes are the perfect showcase for their stunning array of designer fabrics — from elegant silks and brocades to cozy chenille and tweeds. Jessica Charles’ furniture is handcrafted in North Carolina by expert woodworkers and upholsterers whose scrupulous attention to detail evokes the heirloom quality of a bygone era. Solid, kiln-dried hardwood frames and eight-way hand-tied springs ensure a lifetime of comfort and durability. Jessica Charles’ dedication to the art of fine upholstery can be seen in their custom-fitted cushions, beautifully proportioned tufting, and skirts that are precisely cut, lined and mitered for a perfect drape. Jonathan Charles Fine Furniture designs and manufactures the highest-quality European antique replicas, as well as its own unique transitional designs. These are distributed to the best shops and interior designers throughout North America, U.K., Spain, Italy and France, to name a few. The company’s meticulous attention to detail and pursuit of high-quality construction sets them apart from their competitors, and their passion for detail is reflected in their in-house brass foundry in which they manufacture their own hardware such as one of-a-kind pulls, hinges, locks and even keys, to enhance new pieces of furniture. La Barge designers travel the world to bring you the very finest handcrafted mirrors, tables and accent furnishings. La Barge seeks the most skilled artisans who create their pieces by hand, using time-honored techniques: from sculpting and carving to hand rubbed finishes and gilding. La Barge has continued to explore the use of contrasting materials on traditional forms, creating an intriguing array of designs that balance the past and present; designs that lend a European flavor and that spans the centuries. From a Regency inspired gilded mirror for the drawing room to classical interpretations that bring the romance of the garden indoors, Le Barge offers a blend of sophistication and casual elegance evident throughout their collection. When clients purchase a fine quality design from MacKenzie-Dow, they will experience a surprisingly timeless blend of Old World heritage and modern-day practicality. That’s because MacKenzie-Dow specializes in the craftsmanship of superb quality 17th and 18th century, European inspired solid wood furnishings that resonate as well today as they did years ago. Situated in West Virginia, MacKenzie-Dow’s local craftsmen and women employ centuries-old woodworking and joinery techniques to construct elegant creations that promise both enduring value and sophisticated style. Maitland-Smith offers a vast array of fine home furnishings and unique home accessories. Many of these handcrafted treasures are “limited editions” and are destined to become family heirlooms and quite possibly valuable antiques for future generations. The hallmark of Maitland-Smith is their beautiful design sensibility and creative interpretation of a wide variety of styles and traditions. Maitland-Smith proudly presents their many elegant and distinctive pieces for homes today, with quality and style to last a lifetime. McGuire is internationally known for creating high-end, designer furniture of rattan, woven peel, solid teak, bamboo, Oriental hardwoods, laced rawhide and aluminum. To connoisseurs of fine furniture, the name McGuire is synonymous with style and elegance. For over 50 years, McGuire Furniture Company of San Francisco has built a reputation for design and quality as gracious and lasting as the furniture it makes. The company's mission is to lend pleasure and permanence to contemporary living by creating functional art of lasting value, backed by exceptional service. Since 1990, Old Biscayne Designs has manufactured fine iron beds and wood furniture designs derived from European antiques. Nick & Gretchen Gabrielli welded their cultures; his of Argentine aristocratic elegance and hers of Southern simplicity and charm to form a company that handcrafts furniture to each customer’s specifications. Every design is signed with the Gabrielli signature and year of creation. Their absolute dedication to excellence guarantees that the owner of a Gabrielli design will have the very best. Sligh is a leader in the high-end home office and media cabinet industry, offering a broad selection of designs to fit any desired style. The company takes great pride in figuring out the functionality of each piece, maximizing storage, computer, and audio/visual challenges. Swaim is a family business with a distinguished reputation for quality and originality. Founded in 1945 by Glen Swaim, Sr., this High Point, North Carolina manufacturer is an extensive resource for unique upholstery and fine occasional pieces for the design community. Today Swaim is directed by the third generation of the Swaim family. Time-honored pride in workmanship is evident throughout the Company’s American manufacturing facilities. Swaim offers an exceptionally high level of customization to clients’ desires, with an extensive selection of fabrics and over 50 wood finishes available for specific pieces. Founded in 1996 by the enigmatic Paul Maitland Smith, an industry legend who has pioneered high-end furniture production throughout Asia for the past 25 years, Theodore Alexander is now one of the largest furniture manufacturers in South East Asia. Theodore Alexander has become eminent in its field — renowned as a unique brand embodying quality in design; providing eclectic, traditional and modern classical furniture and accessories to our clients. Theodore Alexander also carries a line by the Keno brothers. PJ Newman is the exclusive dealer of this line in the Tampa Bay Area, and several pieces are displayed on the showroom floor. It all started with a velvet chair — the perfect velvet chair — the one at the forefront, the vanguard of the room. Vanguard Furniture is a fashion-driven company whose primary mission is to be a successful home furnishings leader in style, value and service with a vision to enrich lives through custom-crafted furniture. Today, more than 40 years later Vanguard Furniture is still making good on its name to be in the forefront of furniture: from one perfect velvet chair to endless possibilities. Woodbridge Furniture Company was founded in early 2002 by principals who have many years of experience with high-end furniture. This experience covers all aspects of the furniture business, including product development, manufacturing, customer service, sales, and marketing. The company develops their own products, using classic design forms adapted to the casual lifestyles of today’s world. Pieces are crafted in hardwood solids and highly-figured veneers, and much of the veneer is hand-selected by Woodbridge to insure each piece is of the highest standard. Chapman Manufacturing Company, Inc. is a world-renowned leader in the home furnishings industry. The Chapman Collection, with more than one thousand designs, encompasses table and floor lamps, chandeliers, sconces, accent furniture and decorative accessories. 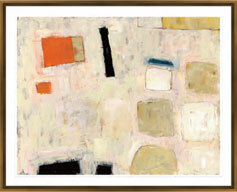 It includes authentic reproductions, traditional adaptations and transitional and original contemporary designs. Chelsea House is recognized for its exquisite line of home furnishings that offer a unique level of grace, beauty, and sophistication not found elsewhere. Chelsea House furniture, lamps, artwork, garden décor, pillows, chandeliers, and decorative accessories are of the highest quality. Nearly every product is crafted by hand: each piece of art is painted one stroke at a time, each wood chair is carved by a master craftsman. Chelsea House home furnishings are for those with discerning tastes who appreciate the richness of tradition interpreted for today’s homes. Since 1923 Frederick Cooper has been a leader in the lamp industry. Through mixing the media of brass, fabric, glass, and wood, Frederick Cooper creates exquisitely designed lamps that remain in style for generations. Since 1903, Friedman Brothers has been the world's premier creator of custom handcrafted decorative mirrors for elegant interior design settings. Friedman Brothers products are found in some of the most prestigious locations around the World, including the halls of The Vatican and The White House. From private residences to world-class hotels, interior designers use Friedman products to enhance the prestige and elegance of their projects. Holtkötter has been manufacturing chandeliers and lamps in Germany for more than 35 years. The company is one of a handful left that still designs their own fixtures and do their own manufacturing from the raw metal to the finished product, resulting in chandeliers and lamps of lasting quality. Holtkotter’s reason for being is defined by their manufacturing tradition, by their manufacturing expertise, and by their dedication to quality. The company’s future will be shaped by their continued devotion to the technical, functional and design challenges of lighting. Ancient hand-forging techniques live on at Hubbardton Forge, as does truly timeless that’s simple, classic, elegant and original. Form and function are inseparable in every piece. From heavier gauge metals, custom turnings and superior internal components, to environmentally sound powder-coated finishes, Hubbardton Forge strives to create structural integrity and products that will endure. For more than 40 years, the Soicher Marin name has been synonymous with craftsmanship and style. A family owned and operated business, Soicher Marin offers decorative and fine art to clients around the world: from Beverly Hills to Hong Kong, Las Vegas to St. Barths, New York to London, the Middle East and beyond. Their prints, mirrors and paintings can be seen in the finest residences in the world, as well as in corporate environments. Today, their digital archive of art-on-demand has surpassed the 15,000-file mark, and ranges in subjects from early botanicals, rare architecture and textile designs from all points on the globe to landscapes, maps and city scenes. In addition, their collection of prints and picture frame mouldings is vast. For more than 90 years, Speer Collectibles has been designing and manufacturing collectible quality accessories, accent furniture and fine lighting. Speer’s original designs are hand crafted by skilled artisans employing the very finest materials available around the world. Experience the art of lighting. Visual Comfort is the premiere American resource for signature designer lighting. For over 20 years they have produced lighting with some of the most influential names in design. Moving forward, they will continue to partner with noteworthy talents to enrich their extensive and creative selection of products. Lighting can turn a room into a living work of art. Visual Comfort makes it livable.